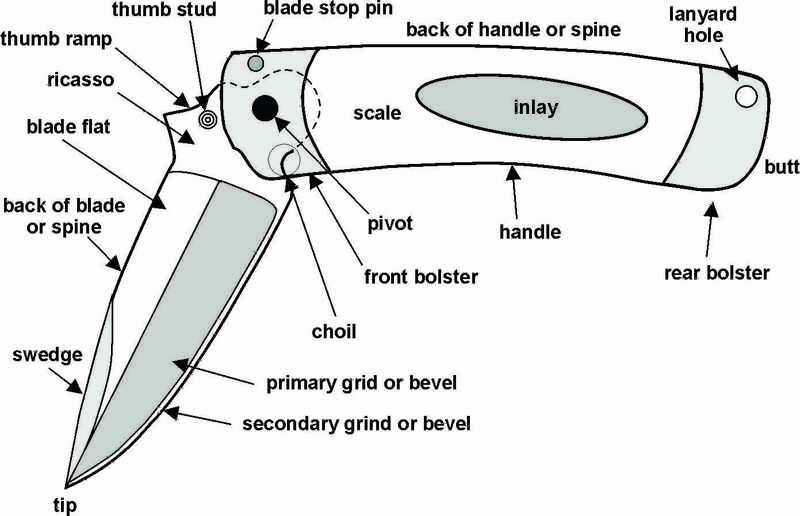 A Primer on Folding Knives is a comprehensive guide to folding knives. It is designed for both new and experienced knife users who want to expand their knowledge of folding knives. 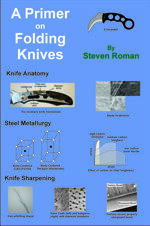 Chapter 1 contains a detailed discussion of knife terminology and anatomy, knife operation and knife materials, including blade grinds, bevel angles, locking mechanisms and potential issues with locking mechanisms, ball-bearing pivot systems, blade construction, blade coatings, blade finishes, knife care (such as removing scratches from DLC-coated knives) and more. Chapter 2 on steel metallurgy is a comprehensive but not overly technical chapter on the properties of steel that are important to knife blades, the heat treatment of steel and its effect on the steel at a molecular level. It also describes the effect of different amounts of carbon and alloy metals on the final properties of a knife blade. The goal of this chapter is to give you an idea of why it is so difficult (or even impossible) to produce the perfect steel for knife blades. Chapter 3 is a comprehensive look at knife sharpening, including a discussion of sharpening techniques, freehand sharpening equipment (ceramic and diamond stones), sharpening systems including the Work Sharp, the Edge Pro, the KME and the Wicked Edge, and a detailed discussion of stropping, including nano-stropping with exotic materials. A few of the 122 images and photos from the book, organized by chapter. So You're Happy With The Factory Edge? Jende Industries: Experts on sharpening and sharpening supplies; knives and straight razors. KnifeArt.com: Your source for elite knives and precision gear. BladeHQ: Knives, outdoor and survival gear, axes, saws and more. Knife Center: The original and largest online catalog of cutlery. Knife Informer: A web site committed to providing in-depth and unbiased opinions on all things knife related.